Traditional camping as it should be. 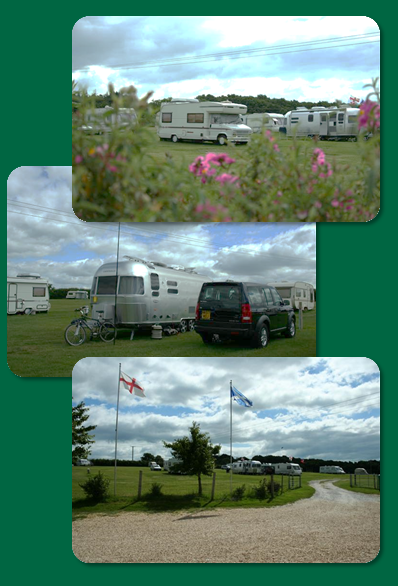 Kite Hill Farm Caravan and Camping Park is a traditional farm campsite on the Isle of Wight, offering camping for tents, motorhomes and caravans. 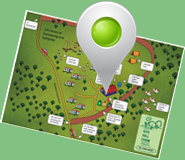 Situated in Wootton Bridge Valley, a designated as an Area of Outstanding Natural Beauty (ANOB), the family run campsite is set in 12 acres of fields and meadows, with Firestone Copse bordering the site with its entrance along Firestone Copse road. The site does not have marked pitches so there is plenty of room for freedom. 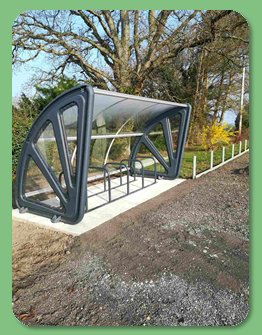 For 2019 we have installed the fabulous all weather bike rack so all our cycling visitors can keep their bikes secure and dry. 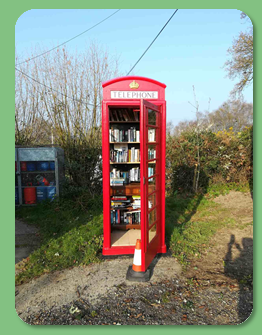 We have also installed our unique 'Red Telephone Box Library' when you can borrow books to while away those days in the peace and quiet of the camp site. 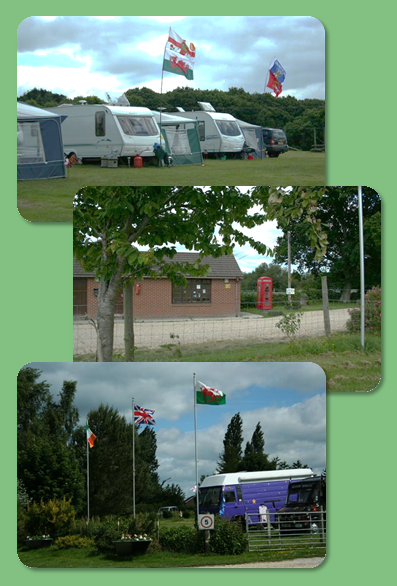 Kite Hill Farm Caravan and Camping Park is located on the outskirts of the small village of Wootton Bridge. Wooton Bridge village shops are only 5 minutes walk away and offer a good selection, including a post office, a Tesco Express, a Spar shop, launderette, a choice of public houses and takeaways. We are only a few minutes away from both the main ferry terminals of Fishbourne (Wightlink) and East Cowes (Red Funnel). The main bus route is located a couple of minutes walk from the park entrance, with buses running to Newport and Ryde terminals every 20 minutes. You can check the bus timetables here. THE MANAGEMENT RESERVE THE RIGHT TO EXCLUDE UNDER AGE GROUPS. Kite Hill Farm is only 3 miles from Ryde with its sandy beaches, ice rink, bowling alley, golf course, theatre and many other attractions. Newport, the Island's capital is only 4 miles away and has a large shopping centre and many historical buildings including Carisbrooke Castle. The Isle of Wight Steam Railway at Havenstreet is very close to our campsite, and you can have a 10 mile round trip operated by carriages and engines dating back to the 1870s, with museum, shop, cafe and children's play areas. Cowes, the famous yachting centre is a short drive away, as is Osborne House, East Cowes, home of the late Queen Victoria and Prince Albert. The Isle of Wight Festival is a big annual event on the Isle of Wight. Usually in June, Kite Hill Farm is only a few minutes away on a regular bus route. Shopping and Eating out on the Island can be immense fun! Ryde - For Eating out - Union Street boasts over 30 restaurants and bars Newport - The provincial centre offers a range of shops as well as the well known branded ones. Sandown and Shanklin - Offers the bucket and spade buyers a cornucopia of types and styles. Godshill - The nick knack and must see centre for all tourists to visit.